Well child exams are most frequent when the child’s development is most rapid. Each visit includes a complete physical examination. This will assess the infant or young child’s growth and development and help identify problems early. Height, weight, and other important information is recorded and considered. During this visit vaccinations are updated also. Parents may use this visit to voice concerns and ask questions. Physician will use this visit to counseled parents on nutrition, safety, development, and other medical issues. We serve children, ages two and older. Keeping your child healthy is probably the most important thing to you as a parent. After all, good health provides your child with the foundation for a great life. Good health makes it possible for them to explore new things, continually learn, and grow into the adult they were made to be. Here at Conroe Family Doctor, we provide comprehensive wellness exams for children aged two and older to ensure every child we see is reaching those important growth milestones. And, if they aren’t we hello put together a plan to make that happen. A wellness exam is an exam in which we examine all of the important growth milestones a child should be reaching. We look at his or her development and look for any issues that might be causing them to slow down. Once we diagnose those issues, we come up with a clear plan of action to ensure they’re taken care of and on the path to reach their milestones. The wellness exam starts with taking the height and weight of your child. We’re looking to have your child in a healthy weight range, not too skinny and not overweight. A healthy weight indicates the child is likely getting proper nutrition and exercise, both of which contribute to a healthy overall weight. We also ensure your child’s vaccines are up-to-date. Vaccines ensure your child, as well as other children, are protected from many of the viruses that cause early death in children prior to their invention. The doctor will look at the various speech and motor skill milestones your child should have reached by their age. These are an important factor in developmental health and can be indicative of problems that need further attention. The good news is the doctor can help direct you toward the best treatment for issues that might occur, so your child can get on track. 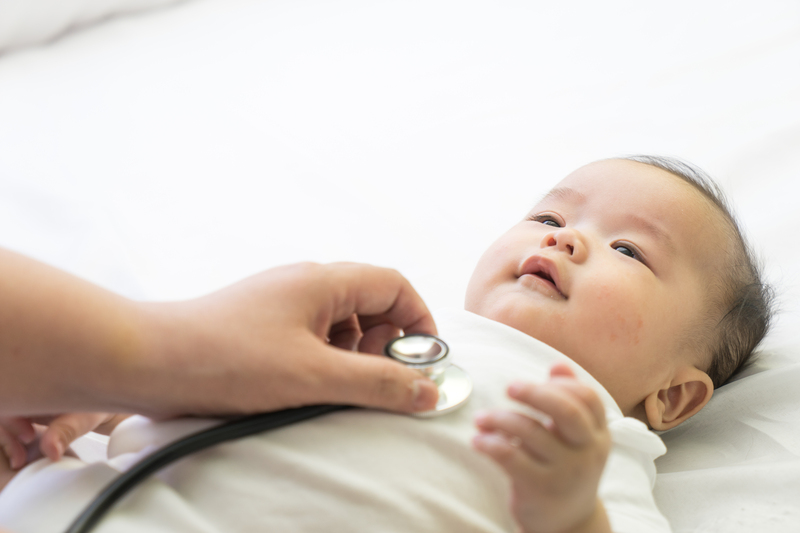 During the wellness exam, you have a chance to talk to Dr. Nguyen about any concerns you have, both in regards to your child’s physical health and developmental health. No question is off limits. We’ve had patients whose children are acting out at daycare or biting their siblings. Whatever concerns you may have, this appointment is where you can freely express them. Should I schedule a wellness exam? While you might look at your child and not see any issues, wellness examines provide an objective look at your child’s health. It’s easy as parents to overlook minor issues, but oftentimes bigger issues start as smaller issues. By catching these issues early you can ensure your child is reaching all the right milestones and truly doing as well as they can. You can schedule a wellness exam with Dr. Nguyen by giving our office a call. Our helpful staff can answer any questions you have about the exam or insurance, and make sure you get an appointment that is convenient for your busy schedule.